RANCH HOUSE Senior Living Community Ranch House Senior Living Community is now open and accepting new residents. Completed in 2018, the facility offers high quality assisted living and skilled nursing care. FLAT MOUNTAIN BREWHOUSE Flat Mountain Brewhouse is the newest addition to our downtown area and boasts a variety of house-made brews on tap daily. Greater Garden City Take a look at what's going in Garden City and the southwest Kansas area! Greater Garden City highlights the positive news and events going on in Garden City, Finney County and southwestern Kansas, and seeks to share the good news about the region’s communities. Every two years, FCEDC updates the Community Housing Assessment Tool. 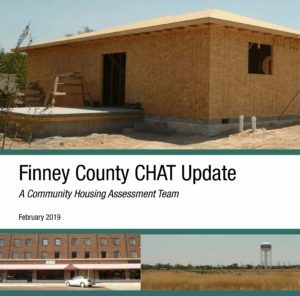 The purpose of this study is to provide a reference point for the housing demands of Garden City, Holcomb and the Finney County area. New to the area? The Garden City Area Relocation Guide is a collection of information, events, services, and more for those new, or not so new, to Finney County. The Annual Report provides a representative view of a variety of activities that FCEDC manages, coordinates and implements throughout the year, all of which are extremely important components to the overall business environment of Finney County. This report is intended to provide a sampling of activities to highlight the many and varied functions of FCEDC.